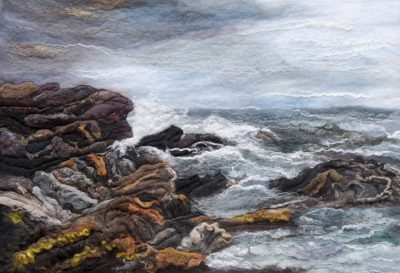 I have always been excited by textiles, especially wool, so studied for a BA in Art and Design Textiles at Bradford- the home of wool. 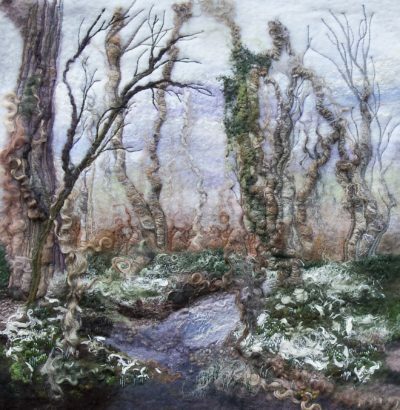 Having given up full-time teaching after many years, I rediscovered my creativity and discovered felt-making. 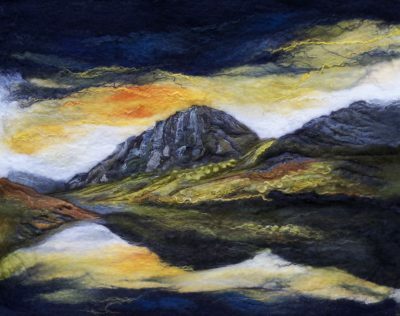 I enjoy experimenting in all areas of felt-making, finding that what I discover in one area helps me build on how I work in another. 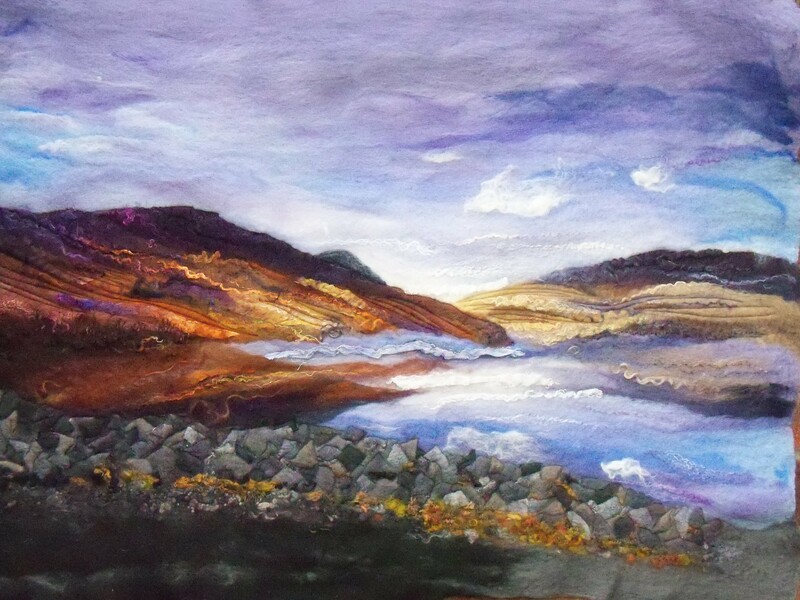 Although I produce a variety of abstract work, I usually find myself drawn back to my love of painting landscapes- this time with wool instead of paint. 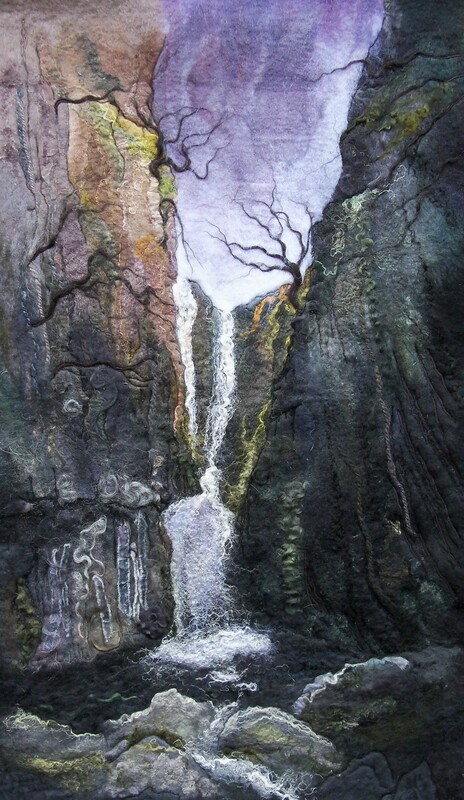 I use mainly my own hand-dyed wool and incorporate a wide variety of fibres and fabrics for texture and depth.